Australian apartments and Chinese investors have been in a long distance love affair for years but is cupid’s arrow misfiring? Or does her love potion have an antidote by the name of Australian Prudential Regulation Authority (APRA), State Governments, Banks, media commentators or even the Chinese Government? Whatever the reason the volume of Chinese property investment into Australia has slowed and I recently spoke to Emily Stewart on ABC’s The Business about why. The love affair breakdown has been the result of numerous factors. The tightening of lending practices by banks has been driven by APRA and many foreign buyers have found it very difficult to meet the required credit checks and get a loan approved for apartments purchased any time in the last 2 or 3 years. Some of these buyers are exploring nominating their contract (finding a new buyer before they settle) even at a loss. On the 1st July this year the Victorian State Govt changed the stamp duty rules so all buyers (foreign and domestic) now pay stamp duty on off-the-plan purchasers plus they added an additional surcharge for foreign purchasers. The Chinese Government is making it harder for Chinese nationals to take their money out of the country. While regulations have been in place for some time they are watching it more closely. The media have continued to paint a very bleak picture for many apartment market segments suggesting some markets are being oversupplied. This has a self-fulfilling impact on the market as buyers behave accordingly. It is almost inevitable however that the love affair will prevail and in a relatively short time the market will recover with both domestic and foreign buyers re-entering. The Victorian Government’s own population modelling and infrastructure planning calculates with over 100,000 new people to Victoria each year we need 45,000 new dwellings including 16,000 apartments every year. The imminent slowdown in construction of new apartments means there will be an undersupply in 5 years’ time creating strong capital growth opportunities. Melbourne and Australia continues to be the envy for many parts of the world and the opportunity to purchase real estate here is irresistible by so many foreigners. The current tiff between Australian apartments and Chinese investors will pass and each will see the error of their ways clearing the path for happy times ahead. 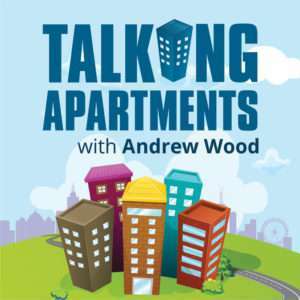 We’ve got even more updates from our podcast partner, Talking Apartments. Impact of Labor’s tax changes on the apartment market.